Horizon Villas is one of the most sought after luxury villa developments on Thailand’s ever popular boutique island of Koh Samui. Horizon Homes Koh Samui Villas, a range of exclusive villas for sale by Horizon Homes, offers incomparable standards and construction expertise. Located in Choeng Mon on the stunning north coast, the development offers panoramic views over the Gulf of Thailand as well as easy access to an abundance of facilities and attractions. 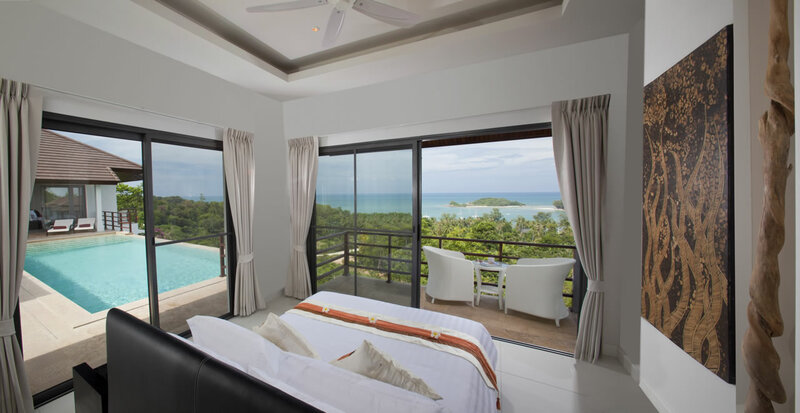 These luxury Koh Samui villas are designed in a contemporary style that show the architects took into consideration the cultural minutiae of the European life-style, and designed homes which allow for luxury European standard living down to the finest detail. 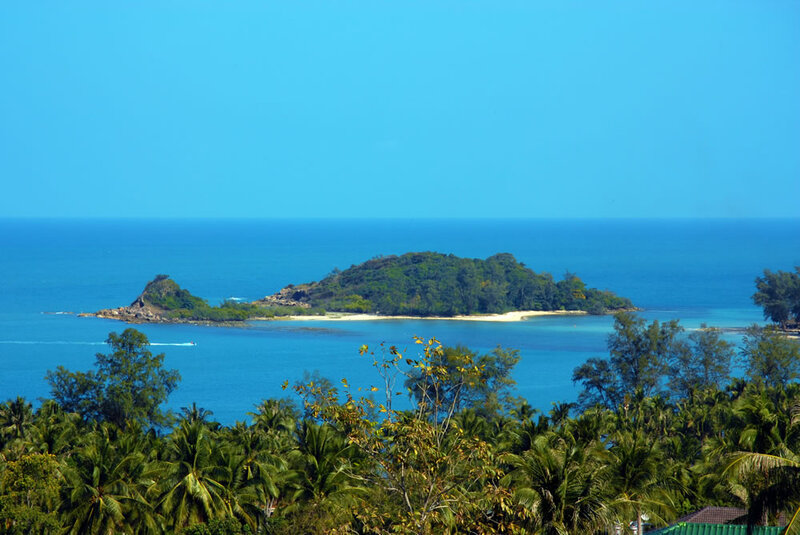 Choeng Mon beach is just a few minutes from the development and a popular choice for families. Koh Samui International Airport is only 10 minutes’ drive away, and regular flights from Bangkok, Singapore and Hong Kong mean access to the villas is easy and convenient from anywhere in the world. 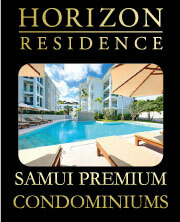 By applying international building standards, the developers of Horizon Villas Koh Samui have created an exceptional residential estate of 65 private homes in one of the most attractive locations on the island. Horizon Homes Koh Samui villas are a unique development of villas on Koh Samui, located just two minutes from a beautifully untouched area of Choeng Mon Bay, on the coast of Koh Samui. All finishes throughout these exquisite homes are marble, granite, teak and natural stone. 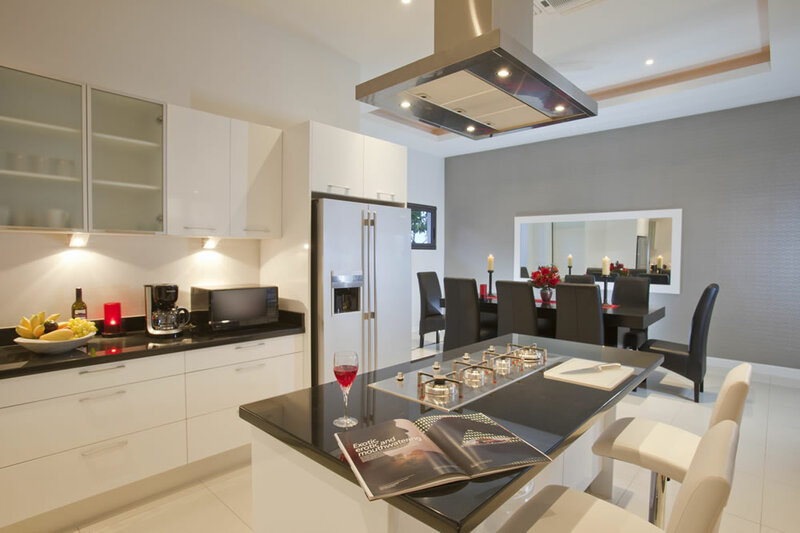 The kitchen is of European design, as are the bathroom fixtures and fittings. Horizon Homes Construction Company has made a number of innovations to the villa construction process in Koh Samui to ensure that our building standards match those of the finest European villas. Crucially, a division of labor in the Thai work force assures a quality of work unseen before on the island. Each specialized team is organized in a way to guarantee maximum efficiency and successful results, with team leaders, supervisors and engineers overseeing each subdivision. A planning manager making sure that work is allocated correctly and construction completed on time controls the process. Property Developers need to remember that they are often dealing with people’s life savings. This commands a massive sense of responsibility, one that should be rewarded by a hard working commitment to provide the absolute best we can for our clients at all times. 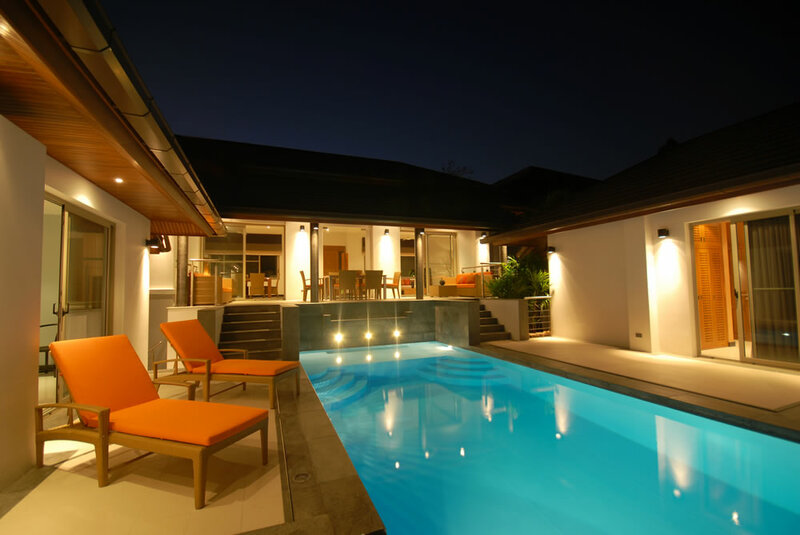 We have our own in-house architect who will work with you to help create your ideal villa. We will lodge the planning application and apply for and gain the required building permits for your villa. Our construction team will build your villa and our MD will project manage the build for you, to ensure that it is built and finished to the high standard that you would expect. The build payments will be typically paid in 40% + 25% + 25% + 10% increments, in accordance with the build progress (This is our standard payment schedule, but we are open to discussing alternate payment increments) . 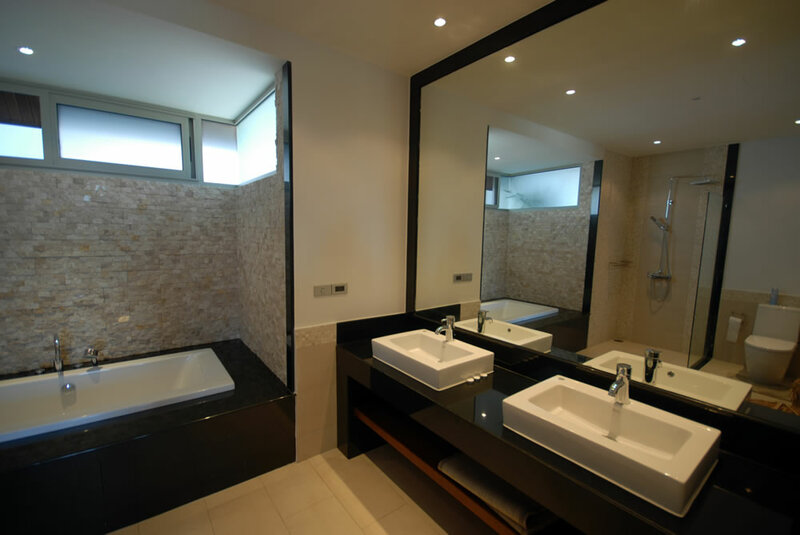 We would be contracted to build your villa within 12 months of the architectural designs being completed. We would be happy to forward you customer details who have recently built villas with us so that you can ask them about their thoughts and experiences. Horizon Homes also offers investors an attractive management package to protect and maintain their investment. This includes year around maintenance of each villa, as well as pool maintenance, pest control, gardening services and building inspections for the communal areas. Electrical systems, water supply, waste management, fire protection and security installations are regularly serviced in order to keep the properties attractive not only for the owners but also for rental guests and potential new investors. Management services offered also include rental and marketing, designed to help owners maximize their return on investment. 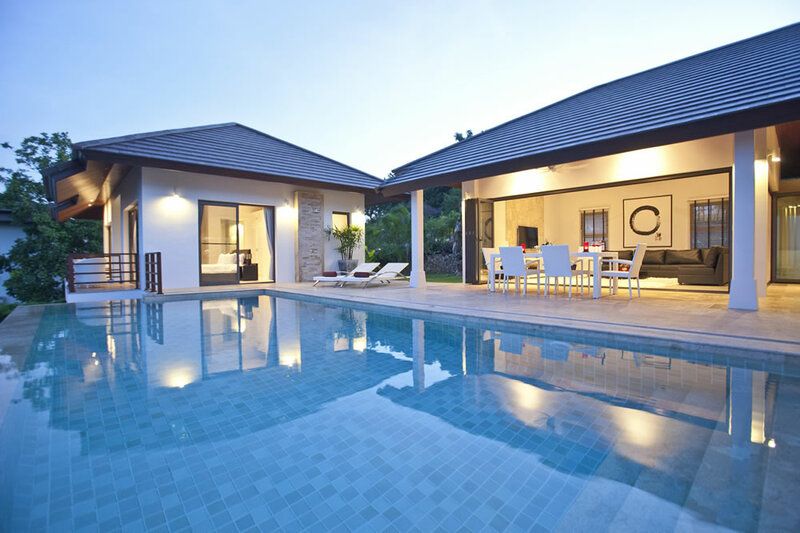 Koh Samui is one of the top tourist destinations in Thailand and owners can therefore benefit from substantial rental income throughout the year if the property is well maintained and promoted to suitable target markets around the world. 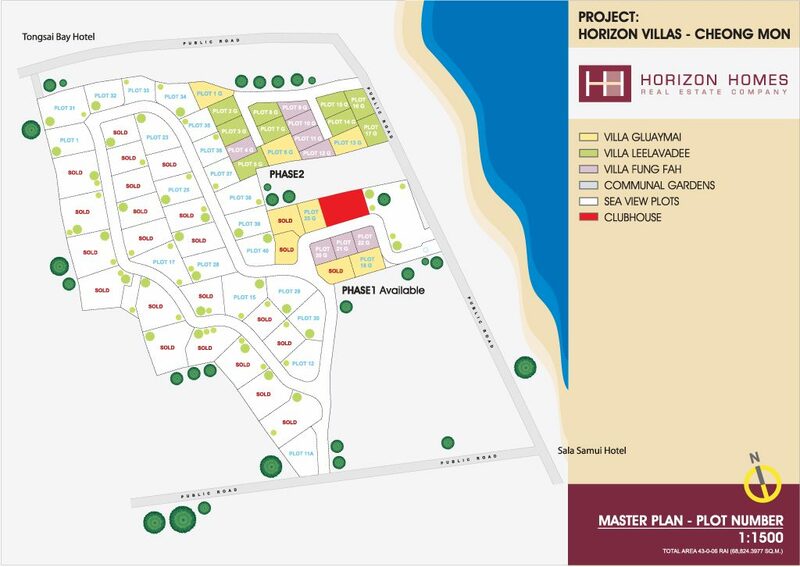 For further information on our Koh Samui villas please contact us here at Horizon Villas, we will be happy to talk you through these site plans.